As a memoir of an Associated Press correspondent, El Salvador Could Be Like That puts the reader on the ground as a witness to the unfolding of a civil war, and provides the political and historical background that surfaces the underlying factors that led to the conflict. It is both a memoir and a cautionary tale of the true costs of war as seen from the ground and in the lives of Salvadorans. Frazier evokes the sounds, sights and feelings of wartime El Salvador. Read for its compelling narrative, for its previously untold history of a war, and to support the role of on the ground journalism in our collective understanding of the world. - Juanita Darling, Ph.D., assistant professor of International Relations at San Francisco State University, veteran Latin American correspondent for the Los Angeles Times. This is so much more than the best journalistic account of the war that enveloped El Salvador in the 1980s. It is an exciting, fast-paced adventure story; an insightful analysis of the way nations break apart; a disturbing look at the war correspondent life; and above all, a poignant, deeply personal story about a great reporter's efforts to come to terms with what he has seen and experienced. - Stephen Kinzer, International Relations, Boston University, award-winning New York Times foreign correspondent, author of Blood of Brothers: Life and War in Nicaragua and other titles. Joseph Frazier's book brings all his expertise, compassion and flair to the deeply compelling story of that hidden war which cost 75,000 lives. His eye is extraordinary. He sees through the fog and disinformation of both sides, sees the war's political complexity, and makes us feel its human cost. And he gets its ironies--Kurt Vonnegut and Joseph Heller are somewhere smiling upon this account. - Journalist and filmmaker Mary Jo McConahay, author of National Geographic Book of the Month, Maya Roads: One Woman's Journey Among the People of the Rainforest. 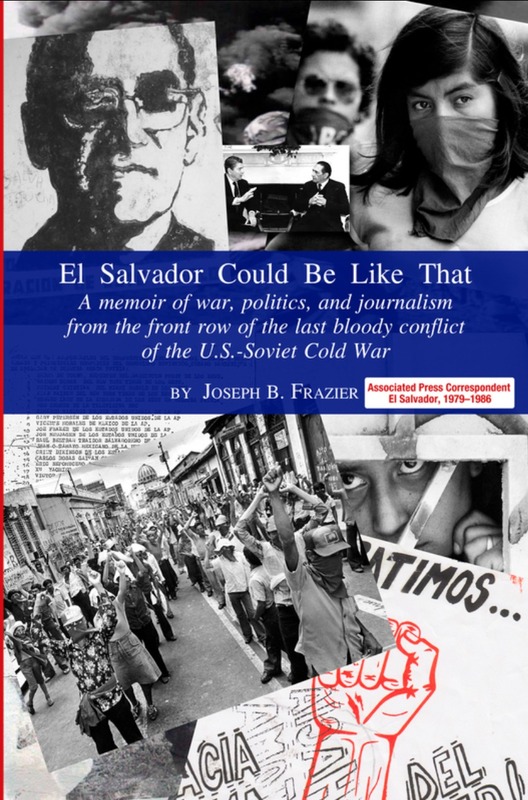 With a masterful mix of straight reporting, colorful anecdotes and thoughtful reflection, Frazier seamlessly weaves the life (and too often, the deaths) of the correspondents chasing the story into the story itself – the unspeakable violence tearing the country and its people apart, its roots in El Salvador’s history, and the geopolitics that fueled it. Frazier pursued the story wherever he could.... He interviewed presidents, rebel leaders, U.S. officials, campesinos, archbishops. He witnessed incredible horrors. Embattled El Salvador comes vividly alive in every chapter, revealing a hellish, deeply tragic place where Realpolitik had become more important than human lives. On every page, Joe Frazier displays the essential qualities that make a great journalist: curiosity, humility and honesty.